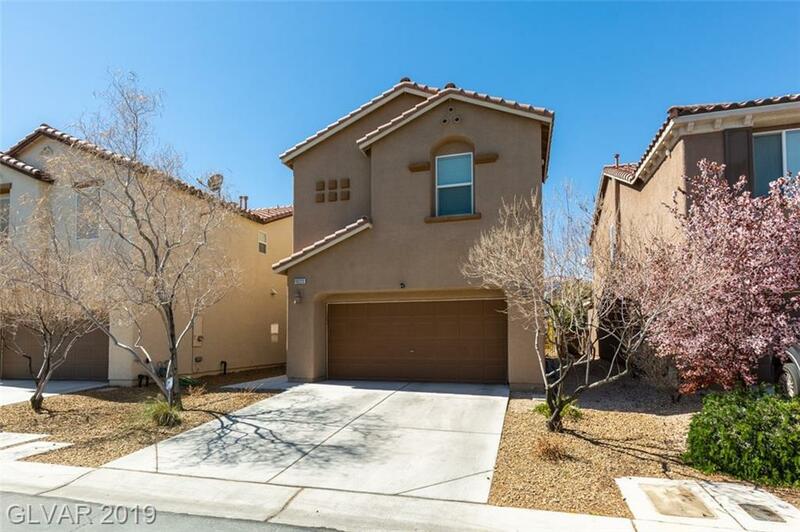 Splendid two story in gated Tuscalante community of Mountains Edge! Pride of ownership! Kitchen open to living room, outfitted with gorgeous granite counter tops and stainless steel appliances! Large kitchen island with breakfast bar! Walk upstairs to three spacious bedrooms! Master bedroom with dual sink vanity! Backyard with covered patio offering plenty of shade! Save on electricity bill with built in solar panels!